Growing up in Chicago’s Humboldt Park and Logan Square communities, Rafael “Légo” Rodriguez dedicated himself to a career in music at a very early age. He landed himself a DJ residency at the well-known Chicago nightclub “Kaboom” by the age of 19. His notoriety and growing fan base in 1992 led to a now 17 year residency at Chicago’s Legendary “Boom Boom Room”, the longest running club night of any kind. Drawing from a wide spectrum of musical tastes as a DJ, Légo began producing his own music. 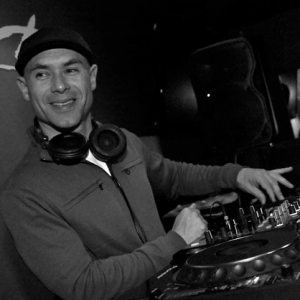 Légo’s professional career began in 1997 when Andy Adams of UC Music approached Légo for a remix of the Ralphi Rosario / Donna Blakely song “Take Me Up.” Légo’s remix hit Number 4 on the Billboard Dance Charts, selling more singles than Madonna and Celine Dion during April 1998. He’s since claimed two more Billboard hits with his remix prowess. One of a Ralphi Rosario / Donna Blakely collaboration “Do You Like The Way That It Feels” and Rosario’s hit, “Wanna Give It Up”, featuring Disco Diva Legend Linda Clifford. In 1999 Légo produced the EP “Flava In Ya Ear” Vol. 2 on Afterhours Records, which included international hits “El Ritmo De Verdad” and “When I’m With You.” Both tracks immediately became anthems for the highly influential global party scene of Ibiza, Spain, which in-turn influenced the global nightclub and dance music communities. Hitting Number 1 on the International Dance Music Charts (and still the best selling release in the label’s history) Légo was catapulted to international stardom. “El Ritmo De Verdad” continues to rock dancefloors the world over to this day, and was also licensed to the French film “Le Cout De La Vie” (2003). As Légo’s following in France grew he accepted an offer for a monthly residency at Club Le Gibus in Paris. Prompted by fans there he released a European-only mix compilation in 2001 entitled “100% House Vibes – Gibus – Le Son Du Club Vol. 2”. Later that year Bob Sinclair asked Légo to produce an unreleased track, titled “Trompeta Allegre”, for his mix compilation series “The Africanism All Stars”, which proved to be a great follow-up to “Flava In Ya Ear Vol. 2” and greatly furthered Légo’s career. Légo’s later remix of “El Corillo” by La Tira, on EsNtion Latino / Warner Brothers showed his consistency in making the Latin and Dance charts. His remixes of “I Say Golé” by Hanna Hais on Atal Music and “Everybody Shake It” by Ralphi Rosario featuring Shawn Christopher on Blueplate Global have kept the attention level high on Légo and Poontin Muzik. As one of the most sought-after artists in House Music today, Légo travels extensively making appearances across the globe. In Chicago he holds a number of residencies, including every last Monday of the month at Green Dolphin’s “Boom Boom Room”, every 1st Wednesday of the month at Smartbar, twice monthly at Martini Ranch, and every 3rd Saturday of the month for “The White Label Sessions” at Darkroom, which now is in it’s 4th year and growing. Lego My first experience was in a loft party in Chicago at the legendary 1466 N Milwaukee in 1991. ApartWhich artists had the greatest impact on your decision to pursue being a DJ? Lego It actually wasn’t an artist. It was my aunt, Evelyn Santa. She used to go hear Frankie Knuckles and Ron Hardy. She always would have the latest records and share them with me. ApartDescribe ‘your sound’ in three words? ApartWhat are your top favorite 3 clubs (or cities) that you have performed at? ApartWhat’s one place or club that you haven’t DJ’ed at yet, that you really want to? ApartDo you have any of your productions out? If so on what labels? Lego I have a bunch of releases about to come out on my label, @PoontinMuzik, in the next couple of months. ApartCan you Youtube us one track that we can expect to hear you play in Milwaukee this Friday? ApartWhen your not listening to electronic music, what do you like to listen to? Lego Jazz, Bossa Nova and eclectic downtempo. ApartWhat is your favorite thing about the Milwaukee? Lego The brats! They are so good! Lego Nobody would ever guess that I am a certified professional baseball instructor and personal trainer.